Helping to fight germs and providing all-round family protection against germs for generations. Dettol Antiseptic can be used for a variety of things. Use as first aid, shaving, bathing, washing cloths, dandruff and mouthwash. Can be used on camping trips. Proven safe and effective concentrated antiseptic disinfectant Kills bacteria and provides protection against germs which can cause infection and illness Use diluted for antiseptic wound cleansing for cuts, grazes, bites and stings Use as a disinfectant in and around the home. Use as first aid, shaving, bathing, washing cloths, dandruff and mouthwash. Use diluted for antiseptic wound cleansing for cuts, grazes, bites and stings. Kills bacteria and provides protection against germs. 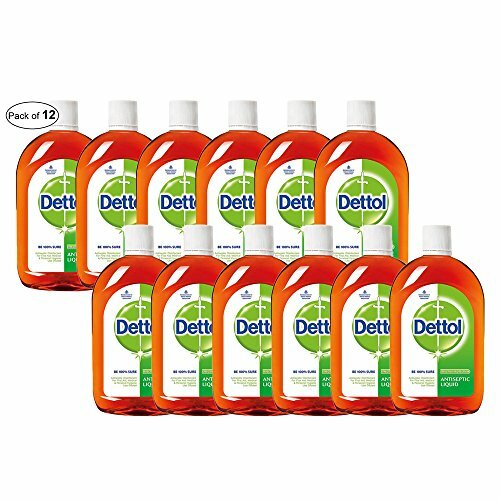 If you have any questions about this product by Dettol ®, contact us by completing and submitting the form below. If you are looking for a specif part number, please include it with your message.